Looking for an West Palm Beach OBGYN? The staff at Partners in Women’s Health, office located in Jupiter, Florida, is dedicated to providing quality women’s health care by utilizing the most state of the art process and procedures in a caring, compassionate setting. At Partners in Women’s Health, we aim to provide comprehensive services offerings to our patients. We provide Obstetric and Gynecological care for the women of West Palm Beach, where our doctors are available to you 24 hours a day, 7 days a week, 365 days a year. Aetna, AvMed, BCBS, Beech Street, CIGNA, Dimensions, First Health/Coventry, Great West, Multiplan/PHCS, NHP – Neighborhood Health Plan, Tricare, UHC – United Health Care, Vista & more! This list may not be up to date or complete, so please call to verify. 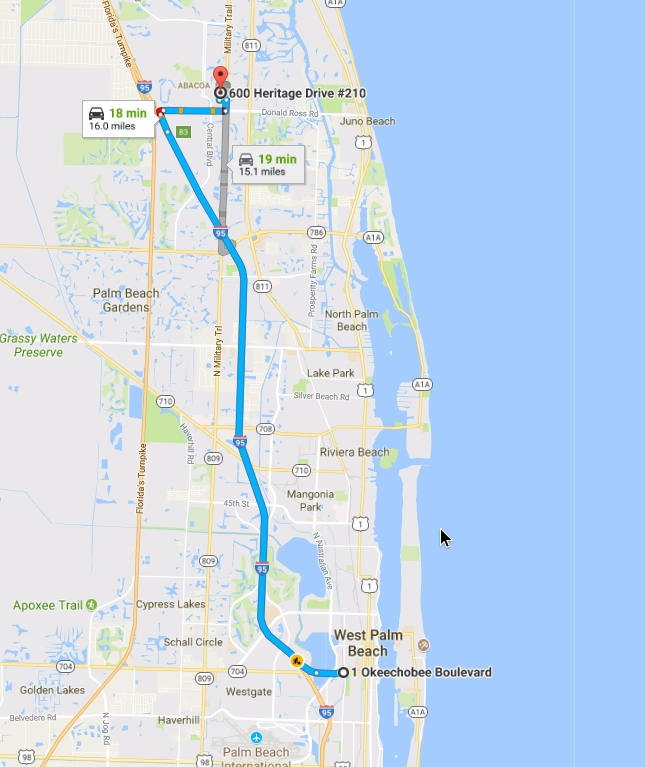 It’s only about a 15 minute drive from downtown West Palm Beach to our office in Jupiter!